Stress is a universally experienced phenomenon. Although there are many causes, the methods of managing it are generally the same. Research from varying professionals helps explain how coping strategies work, broken into three categories – physical, mental and social. Exercise – Research confirms that being physically active leads to physical, mental and emotional benefits, both immediately after and long-term. Exercise can be as successful at decreasing depression as anti-depression prescriptions, according to University of California Riverside professor and author Sonja Lyubomirsky. Exercise stimulates the release of “feel good” chemicals that help improve mood. Get adequate and high-quality sleep – Even slight levels of sleep deprivation can affect judgment, memory and mood, according to the American Psychological Association. When you do not get enough sleep, the areas of the brain that experience anxiety and worry are impacted. In addition, while you sleep, your muscles are repaired and your memories are consolidated, preparing you for the next day. Chronic sleep deprivation can lead to obesity and high blood pressure and cancause you to feel overwhelmed, less motivated and less able to concentrate. Maintain a healthy diet – The National Center on Health, Physical Activity, and Disability explains that certain nutrients, such as thiamin and folate, help with nervous system function. Deficiencies in these nutrients can lead to irritability, depression and poor concentration, causing stress. In addition, the APA notes that when you overeat or eat unhealthy foods, you will tend to feel sluggish and think negatively about your body, causing more stress. Hydrate – Stress and dehydration affect each other and produce similar symptoms such as headaches and fatigue. Staying hydrated can help stave these off. Take breaks – In order to avoid burnout, it is important to find an outlet that lets you relax and enjoy what you are doing. Taking a vacation, listening to certain types of music, checking email less often and laughing have all been shown to reduce stress levels. Meditate – Relaxing the body through deep, controlled breathing helps fight off the physiological symptoms of stress. In addition, feeling in control of just one thing in life—in this case your breathing—is empowering. Meditating increases your self-awareness and helps you gain a new perspective, focus on the present and reduce negative emotions. Cultivate spirituality – Spirituality is not necessarily synonymous with being religious. It has more to do with finding purpose and context for your life through something larger than yourself. Spiritual people tend to be happier, have better mental and physical health, cope better, have more satisfying marriages, use drugs and alcohol less and live longer (Lyubomirsky, 2007). Write – Writing is a great way to calm the chaos of life. Because writing is, by nature, highly structured, it can help you put your thoughts together in a coherent manner, helping you find meaning in your experiences. It also helps you to learn about yourself and feel in control of your life (Lyubomirsky, 2007). Think positively – According to Mayo Clinic research, positive thinking allows you to “approach unpleasantness in a more positive and productive way.” It improves your outlook on life and can lead to health benefits such as greater resistance to the common cold and improved cardiovascular health. Optimistic people often have healthier lifestyles as well. Talk to a friend – Knowing that you are not alone facing your stressors can empower you. The Mayo Clinic asserts that people with strong social support networks are healthier and live longer. This is likely because a social support network increases your sense of belonging, feelings of self-worth and of security. In addition, others often have a different perspective and may suggest changes or coping strategies you had not thought about. Spend time with a pet – Animals reduce tension, improve mood and can be a nice icebreaker in social interactions. According to health journalist Kathleen Doheny, having a pet yields unconditional love, a diminished sense of being alone, physical contact, a consistent daily routine (often including exercise) and an increased sense of self-esteem from caring for it. However, the benefits of having a pet are reduced if doing so causes worry, is not affordable or if you aren’t in a position to provide care. Therefore, a pet is not a one-size-fits-all solution for reducing stress. Learn to say no – The Mayo Clinic proposes that saying no to one thing means you are saying yes to another priority. Doing so can also open up opportunities to try new things and for others to step up to what you are turning down. Being able to say no reflects a healthy level of assertiveness and self-confidence. Always saying yes causes stress, which over time can lead to burnout, resentment and illness. Meet with a professional – If your stresses become overwhelming and burdensome, seek professional help. The Depression and Bipolar Support Alliance notes that a good therapist may help you cope with the stresses or traumatic events you have or are experiencing by helping you identify the triggers and develop a plan to help you cope with and make sense of them. Since stress is part of everyday life, it is important that you learn healthy, effective coping skills. 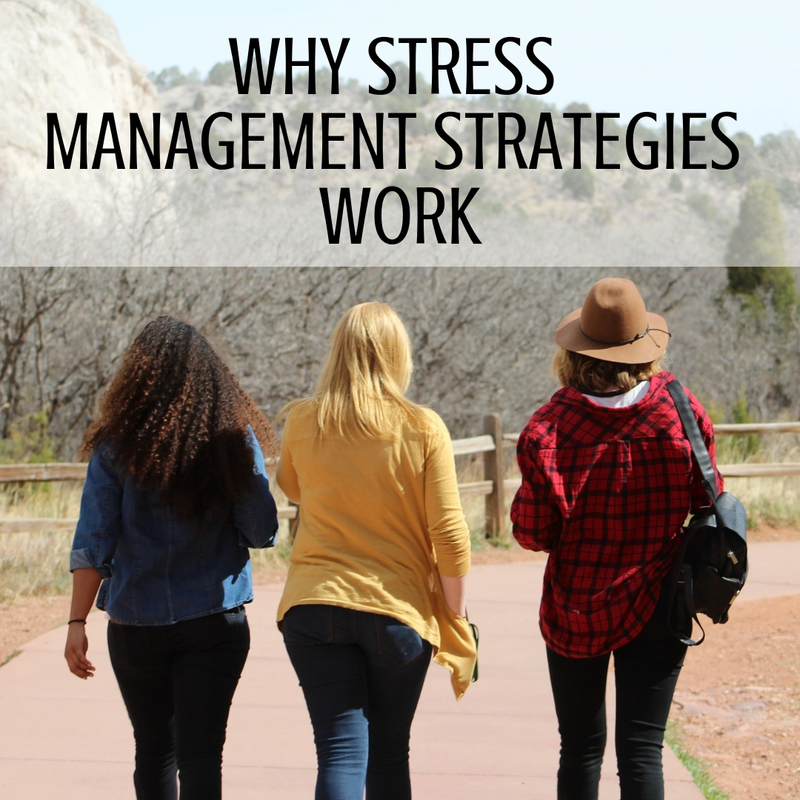 Understanding the reasons for common stress management strategies makes them even more empowering. As you apply them, your personal well-being and relationships with others are likely to improve. This article was written by Dave Schramm, Utah State University Extension family life specialist, David.schramm@usu.edu and Jennifer Viveros, M.A. Each season brings with it new colors and emotions. Many homeowners seek help in selecting plant material that will offer season-long interest in the landscape. 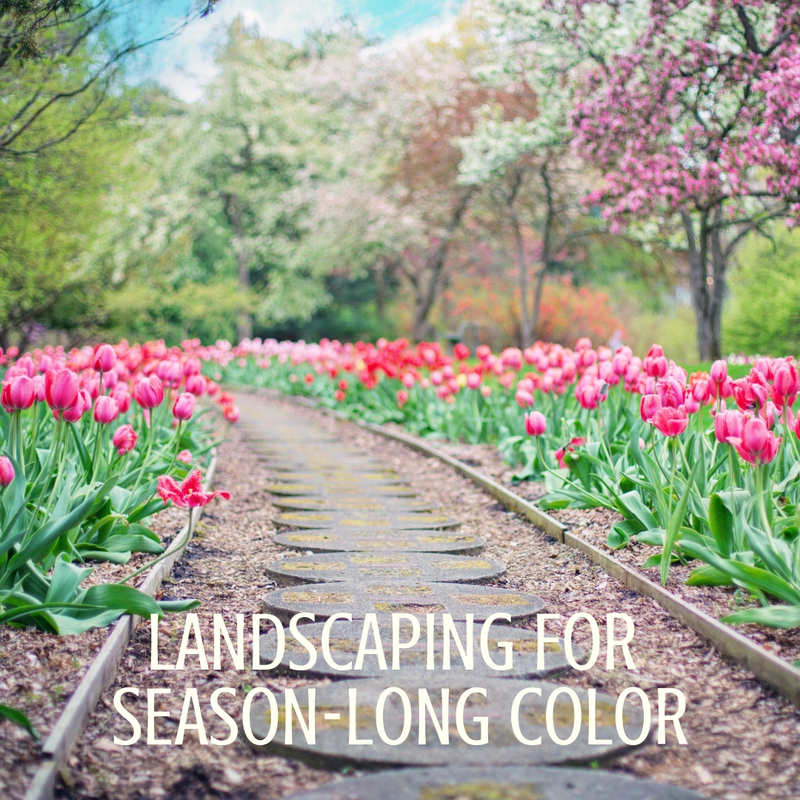 Different colors can add variety and add interest to the landscape. Plants should add consistency and tie the landscape design together. Harmony in a landscape is often accomplished when the same color schemes are repeated. When planting for color, it is good to remember some general rules. Cool colors, such as shades of green, blue, and soft pastels, blend well together and have a tendency to make an area seem larger in appearance. These colors also suggest calmness or tranquility. Warm colors, such as shades of red, orange, and yellow, jump out visually and act as colorful accents. These colors imply lively and inviting feelings. Complementary colors are those colors that most optimally accentuate each other. Yellow is considered complementary to purple. Red is complementary to green. Orange is complementary to blue. White is one of those universal colors, which complements all colors. There are many different plants which can add seasonal splendor to a landscape. Many plants display an array of flower colors throughout the season. Some plants offer different textures while others put on a spectacular show in the autumn as their colorful leaves proclaim the end of the season. When planting for color, it is important to think of the importance of foliage effect along with flower color. With literally thousands of options in choosing plant material, it can oftentimes be overwhelming to homeowners in deciding which plants to buy. Catalogs and magazines are great for getting ideas. It is also a good idea to visit the nurseries and garden centers periodically throughout the year to see what plants are in bloom. Choosing a variety of plants with staggered bloom times, along with those that add unique textures and distinctive leaf colors can add seasonal interest to any landscape. For a list of some of the more commonly sold plants and their approximate bloom times along with plants that offer variety to the landscape in the form of texture and seasonal leaf color, click here. 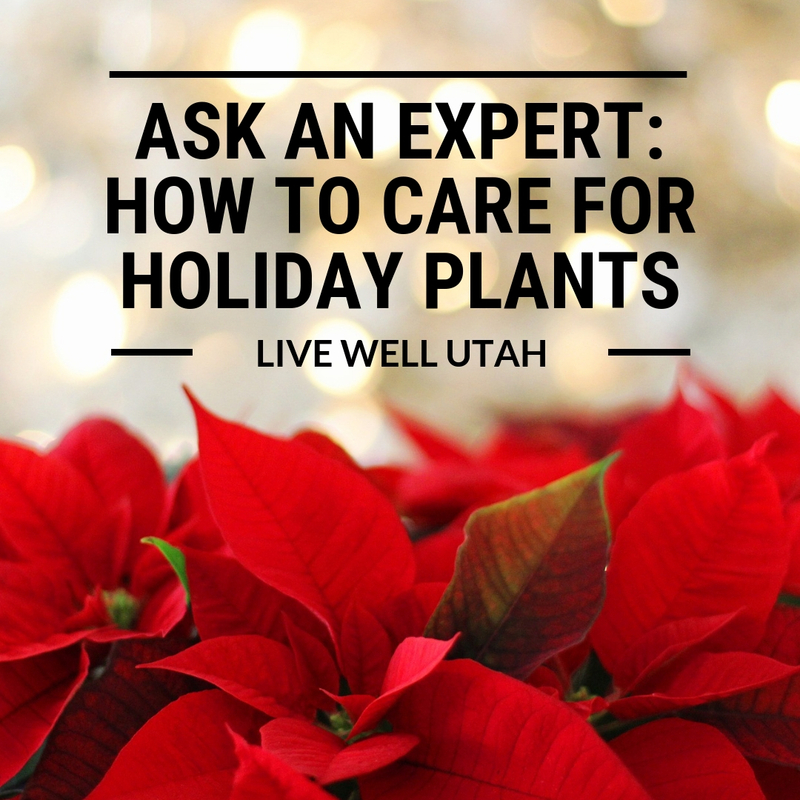 This article was written by JayDee Gunnell, Horticulture Agent, Cache County Extension, Sheriden Hansen, Extension Assistant Professor, Davis County, Linden Greenhalgh, Extension Associate Professor, Tooele County, and Holly Christley, Horticulture Assistant, Tooele County. As a parent, what would you say is your top goal to accomplish with/for your children? 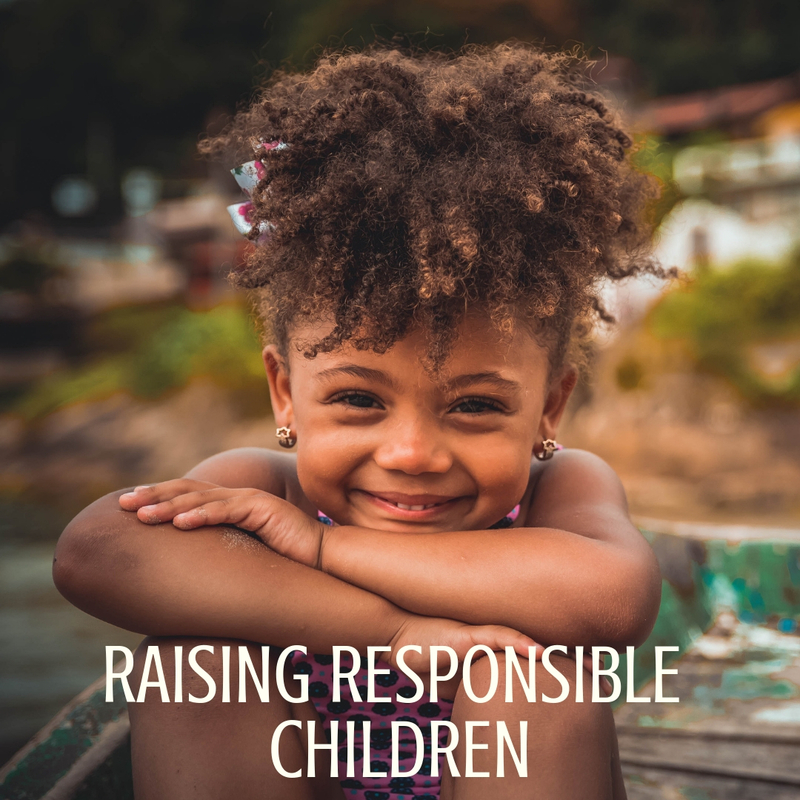 A common response is that parents want to help their children grow into responsible adults— which may include smaller goals such as helping them have skills necessary to be productive members of society, be healthy, happy, and able to take care of themselves. To encourage and direct parents toward achieving this goal, Cornell University Extension (Jefferson County) has created a parent guide that identifies and breaks down 7 parenting tips. Let’s take a closer look. Tip 1: Don’t do things for your children that they can do for themselves. Even young children can help with chores and get themselves dressed in the morning. Resist the urge to take over and solve all your child’s problems. Instead, help children learn to help themselves. Tip 2: Be clear and consistent about your expectations. Make sure your children understand the rules of the household. Be consistent with your messages. If the rule is that children must finish homework before watching TV, then stick with it. Give children advance notice if you expect certain behavior. This is helpful when taking them to the grocery store or on a family vacation, for example. Tip 3: Teach skills and give positive feedback. Don’t just tell your child what to do—include how to do it. For example, a young child may need to be told to clean up their toys but showing them what you mean may work best. Older children may benefit from written step-by-step instructions. For example, to clean the bathroom they may need to know: spray down the shower walls and floor with “X” cleaner, leave for 5 minutes and then rinse with warm water and use a squeegee to dry. Tip 4: Create a home that helps children act responsibly. Work with children to organize their space and belongings. This might mean providing bins and shelves they can reach. Make sure children know where to find cleaning supplies to do their chores and clean up spills. Set up an area for homework that is comfortable, well-lit and that minimizes distractions. Tip 5: Teach children that mistakes are an opportunity to learn. Everybody makes mistakes, so your children are likely to as well. Try not to over-react. Instead, view mistakes as a time to make new plans and better actions for the future. Tip 6: Let children experience the natural consequences of their behavior. When children don’t act responsibly, don’t be a “helicopter” parent who always rushes in to fix the mistake- unless it is dangerous to their personal safety. Instead, let children experience the results of their actions. Tip 7: Be a positive role model. Speak positively about your work and chores. Don’t complain about all that you have to do. Instead, take pride in the things you do well. If (When) you make a mistake, admit it—and then show children how you will correct it. Children do best when they know what to expect. Letting children know when they do well encourages responsible behavior. Remember- you are in charge of your home. Keep in mind, when children “choose” their behavior, they are also choosing the consequences. Kathleen Riggs is the Utah State University Extension family and consumer sciences professor for Iron County. Questions or comments may be sent to kathleen.riggs@usu.edu or call 435-586-8132. It is easy to get caught up in the events of the past or the future. However, doing so only brings worry and causes you to miss out on the present. On the other hand, mindfulness – or focusing on the present moment – leads to better health, lower anxiety and greater resilience to stress. Learning to incorporate the concept of “flow” is one of several ways to increase mindfulness. Have you ever enjoyed an activity so much that you did not feel time passing? This intense absorption and involvement in what you were doing in the present moment is called flow, and it is generally pleasurable and fulfilling. In addition, the enjoyment is usually lasting and reinforcing and provides a natural high that is not accompanied by negative feelings. 1. Control your attention – Try to keep your full attention on the task at hand. If your mind wanders, bring it back to the present moment. If you are having a conversation with another person, try to stay completely focused on what they are saying. Be patient with yourself as you work to develop the ability to stay focused. 2. Adopt new perspectives – Try to enjoy life, even if it unfolds differently than you had planned. (Which it often does!) In order to do so, be open to new and different experiences, and be willing to keep learning until the day you die. 3. Recognize flow – Many times we do not realize that we are having these experiences. In order to create more of these in your life, you first have to recognize when they are happening so you can increase them. 4. Transform routine tasks – During dull, daily tasks, seek to add microflow activities to make them more meaningful. For example, while you are waiting at the doctor’s office, you could read a book or draw a picture. You could try to make your work more meaningful by viewing it as your calling in life rather than just a job. When brushing your teeth, try doing some lunges or squats. When driving, instead of listening to the radio, listen to audiobooks, podcasts or TED talks to learn new ideas. 5. Find the balance between challenge and skills – Flow experiences occur when we are sufficiently challenged to the point that our skills are stretched, but not so much that the task seems daunting. Activities that challenge your skills too much result in anxiety, while activities that are not challenging enough result in boredom; herein lies the paradox of flow experiences. The intrinsic rewards of engaging in these kinds of activities make you want to keep doing them, yet you have to continue stretching yourself because your progress will eventually leave you bored during the same experiences that were once exciting. Finding activities that result in flow is exhilarating. Change things up by trying new things. Our brains crave variety and novelty. The key to finding flow is developing a balance between skills and challenges – finding something you are good at and enjoy, but that still stretches you a bit. This article was written by Dave Schramm, Utah State University Extension family life specialist, and Jennifer Viveros, M.A. Keep your holidays happy with these six tips from USU Extension family life specialist David Schramm. The holidays can be a magical time of year with great food, movies, traditions and decorations. But they are also a busy time that can cause stress. And when the kids are out of school, they can become tired, argumentative and overexcited, which in turn can cause frustration for parents. It’s important for parents to keep things in perspective so the holidays stay happy. Set realistic expectations. Not everything will go as planned around the holidays. The food may not turn out as planned and things can get spilled or broken. Be positive, flexible and open to changes and messes. Try not to overschedule activities to the point that it becomes more stressful than enjoyable. Pay attention to bids for connection. 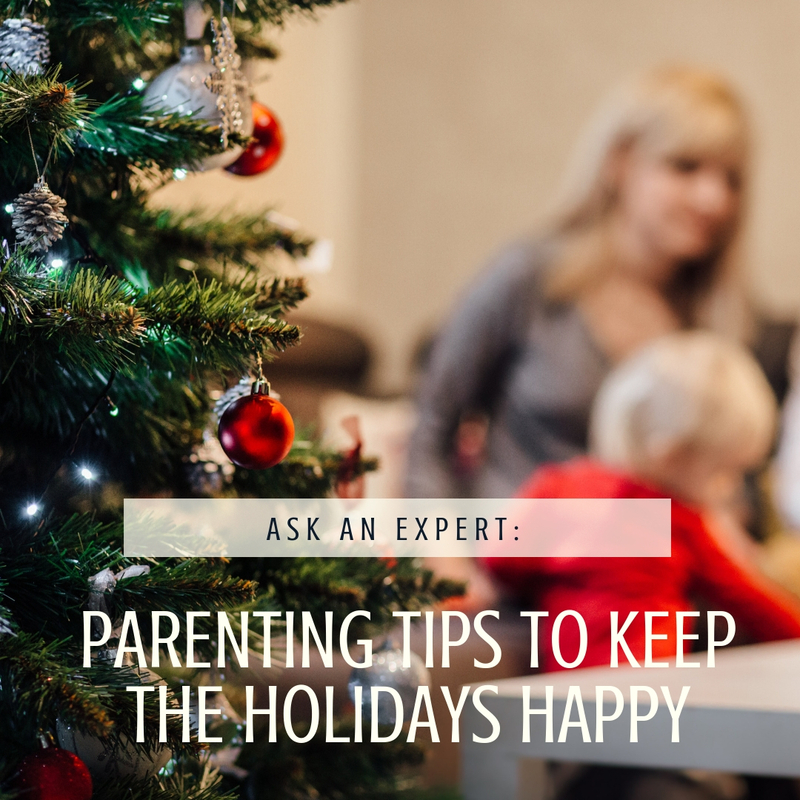 Children thrive when their parents give them attention, affection and connection – especially during the excitement of the holidays. Plan to give them your dedicated time at least once per day, offering full attention for whatever they want to do (board games, playing in the snow, reading books, etc.). Hold up the emotional mirror. Many parents will see a range of emotions from children around the holidays. Mirror their excitement, show understanding when they are sad, and express empathy when they are upset. Grant in fantasy what you can’t grant in reality. Instead of squashing your children’s holiday dreams or their gift list, let them know you hear them and understand. Phrases such as, “Wow, that would be fun!” or “I wish we could do that too!” can give them the next best thing to what they want, and that is knowing you understand what they want. Don’t use unrealistic threats such as “Christmas will be cancelled if…” or “Santa won’t bring you toys if…” Strive to be positive, but still follow through with rules and unacceptable behavior. Take care of yourself or your happy holiday may turn into a Noel nightmare. When parents are stressed out, it often spills over and children feel it. Take time for yourself. Exercise, get adequate sleep, take some deep breaths and try to see the bigger picture. Make positive memories and enjoy the moments, because they don’t last long. This article was written by David Schramm, Utah State University Extension family life specialist. See more from Dr. Dave on Facebook. If you struggle during the holidays, you’re not alone. Try these strategies to make your holiday season a little easier. For days my kids had been begging me to make cookies. I finally decided that we could make cookies for Santa now, on December 1st, and freeze the cookie dough to simplify activities and save time when Christmas Eve came. While making the dough, my 6-year-old daughter dropped the measuring spoon in the mixing bowl while it was mixing. Dough splattered everywhere—our hair, our clothes, all over the counter, the ceiling was spotted, and even a closet door in the family room 15 feet away was dotted. I should have found it hilarious (it is now that I write about it…), but it was an added straw to the stress of the day, and I was frustrated. As my daughter happily licked the dough off the mixing arm, I scooped and molded the dough, listening to the music on the bluetooth speaker and cried. The expectations for magic in the season weighed on me. 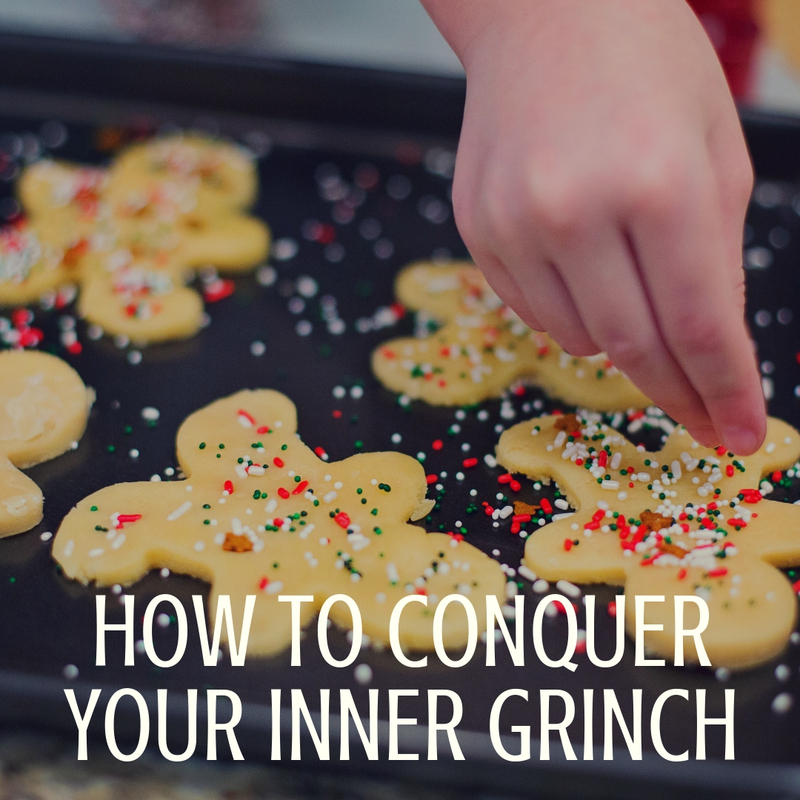 Instead of feeling like a happy Christmas Elf, I was feeling like a rotten inner Grinch. I love what most of the holiday season brings and represents, and yet I still feel discouraged at times. I know I’m not alone in feeling overwhelmed by holiday happenings. Studies show that anywhere from 45-69 percent of us are overwhelmed and stressed by one or more aspect of the season. It can come in the form of stress, anxiety, or seasonal depression. Among those who don’t view themselves as being stressed or anxious, it can be displayed through stress responses such as headaches and illness, excessive eating or drinking, or insomnia. Many parts of the season contribute to these feelings, including financial stress, relationship stress, and exhaustion from expectations for gifts and parties. I am a mother of four children who are excited and anxiously awaiting the magic of the season. Their constant excitement, questions, and desire to do everything can weigh on me like it did while making cookies. The following techniques have helped me over the last few years to bring balance to the demands and expectations I feel, and can help us all to bring out the inner Christmas Elf. 1. Be realistic. Make a list of what is most important to you and your family. If needed, choose the top most important activities only and focus on those so you are not overburdened. 2. Spread out the fun. The holiday season is just that – a season. Not everything needs to take place on Christmas Eve or while the children are out of school. Spread out the activities – from making cookies to enjoying your favorite holiday lights – from Thanksgiving weekend to New Year’s Day. If it helps, write things on a calendar the whole family can see so they know when to expect that activity. Be flexible when needed. 3. Simplify. Not all activities need to cost money in order to create memories. Not every activity needs to be “Pinterest” perfect. Remember to soak in the energy of the moments—take photos to remember. Don’t over commit yourself. It seems to happen that multiple events or parties are scheduled the same evening. Choose one to enjoy thoroughly and don’t stress about trying to leave one early to get to the next late. Let go of a tradition or activity this year if it is too much—plan it for next year if it is something you missed. 4. Prepare early. Set a budget months in advance (if you didn’t this year, start planning for next year in January). Shop for gifts early and keep track of the gifts you purchased through the year to stay within your budget. Use calendars and reminders to prepare for activities in advance. If it’s too late, or a last minute event, then simplify as you can. 5. Take care of yourself. It can be easy to focus on everyone else this time of year, but remember your health. Eat well. Sleep. Exercise. These healthy habits will help keep your immunity up and can help keep you feeling refreshed and less stressed. 6. Forgive yourself. Be kind to yourself. When you’ve done all you can, stress still happens. Practice talking to yourself kindly and forgiving when you feel unmotivated or frustrated. Be mindful and acknowledge your feelings, write about it or talk about it, and then let it go as you forgive and move forward. This article was contributed by Melanie Jewkes, USU Extension associate professor. Gardening experts Sheriden Hansen and Michael Caron share the origins of some common holiday plants, plus give some tips on caring for them in today’s post. When cold weather settles into Utah, we tend to put our gardens to bed and turn our focus to our warm, comfortable homes. But who says that gardening can’t continue through the cold winter months? There are many options for bringing gardening inside during the holidays. Most of the plants that we use during the holidays have specific symbolism or meaningful stories, and some can last for months or even years in our homes with some special care. The Christmas tree is one of the most recognizable symbols of the holidays. It originated as a Christmas tradition in Germany about 400 years ago, but was not common in the USA until the 1890’s. One of the most recognizable Christmas trees, the Rockefeller Center tree, was first placed by construction workers in 1931. The following year, the tree was placed again, but this time it was adorned with lights. The tree has been tradition since that first humble year in the Depression Era, but is much larger and now boasts over 25,000 lights. When bringing home your own tree, make sure the needles are flexible and remain on the tree when lightly tugged on. The tree should have a fresh smell and the base should be re-cut before you take it home. Healthy, active, fresh-cut trees can drink up to a gallon of water a day, especially during the first week, so use a sturdy stand with a large water reservoir. Place the tree in a cool location and keep it well-watered to ensure the needles last through Christmas. Fresh trees that are allowed to dry out will begin to shed needles quickly and become a fire hazard. Fresh, cool water is all that is needed – It is NOT recommended to add sugar, bleach, or any other additive to the water reservoir, or spray any preservatives on the tree itself. Poinsettias are native to Mexico and are the most popular potted plant in the world. With several colors and forms available, they add a festive feel to any room. Joel Roberts Poinsett, U.S. Minister to Mexico from 1825 to 1829, introduced the plant to the United States. Poinsett was a botanist and was one of the first to argue for the creation of the Smithsonian Institution. Poinsettias dislike wet soil and should be watered when the soil becomes lightweight and is dry to the touch. Pot-covers should be removed, and the soil allowed to completely drain. Placing plants in the sink or tub can be an easy way to accommodate watering. Poinsettia require a rather specific daylength in order to produce flowers and can be difficult to get to rebloom. If you decide to keep the plants for reblooming, prune them in April by cutting the stems to about half their length. Fertilize every two weeks with an all-purpose houseplant fertilizer, and place in a location that gets no artificial sunlight after sunset in September. The idea is to provide 12 or more hours of uninterrupted darkness in September and October. If conditions are right, you can move your plant to a living area in your home in November, and the bracts will color for the holidays. These hardy succulents can last for years and will rebloom every year, if cared for properly. Christmas cactus like bright, sunny east or south facing windows. Although these plants are succulents, they come from the tropics and need moist soils that are allowed to dry slightly between watering. Flowers that fail to open are the result of lack of water and warm soil temperatures. To get plants to rebloom, place in a cool location (40 to 50⁰F) in the early fall, reduce watering, and move the plant to a location where it receives about 12 hours of uninterrupted darkness each day. Plants should be fertilized with a houseplant fertilizer monthly from April to October to promote growth and bloom. The word Amaryllis literally means “to sparkle”, which makes this showy bulb a perfect fit for the holiday season. The Portuguese name for this plant translates to “St. Joseph’s staff” referencing the legend that the staff of St. Joseph burst into bloom as a sign that he was selected as the spouse of the Virgin Mary. This bulb produces long-lived, beautiful flowers in red, white, pink, and variegated colors and are usually forced indoors beginning in October. If you didn’t pick up bulbs in the fall, there is no need to worry, plants already forced and actively growing can usually be found in local nurseries and grocery stores. To care for one of these magnificent plants, place in a bright sunny location, watering periodically to keep soil moist but not wet. As the stem elongates, rotate the plant a half turn each day to prevent it bending toward the light source. Staking stems with large flowers may also be required. Once flowers are spent, cut the stalk but keep the leaves and continue to water the plant as needed. Allow the plant to go dormant in the late summer by halting watering. Remove yellow leaves and store the plant in a cool, dark, and dry location until October, when you can repot, begin watering, and start the blooming process again. Paperwhites, like Amaryllis, are a bulb that will need to be forced to bloom in time for the holidays. Paperwhites are a type of Narcissus and are related to daffodils, but have smaller, less showy blooms and a distinct floral fragrance. Their white blooms are used during the holidays to signify rebirth and renewal, as they are often one of the first flowers to bloom in the spring landscape. Look for bulbs that are firm, without blemishes or soft spots. Bulbs should be set in a well-drained container with clean potting soil and watered in. Place the container in a dark location with temperatures between 50-60⁰F for two weeks and then move to a sunny, warm location. As stems lengthen, they often need to be staked with a small piece of bamboo. Unlike Amaryllis, paperwhites are usually a one-time use bulb, and can be difficult to rebloom, even with the best care. You may have seen mommy kissing Santa under the mistletoe, but did you know the use of mistletoe dates back to the Druids nearly 2,000 years ago? Mistletoe was hung in houses to bring good luck, ward off evil spirits, and used as a symbol of fertility. It was also used as a sign of love and friendship in Norse mythology, which is where the custom of kissing under the mistletoe originated. Mistletoe is a parasitic plant with sticky seeds usually spread by birds. Mistletoe plants grow roots into the stems or leaves of their hosts where it removes water and nutrients for its own growth. Something to think about next time you get the chance to kiss under the mistletoe! This article was written by Sheriden Hansen and Michael Caron. It’s that time of year when family members travel from far and wide to gather, give thanks and eat a large meal together. Thanksgiving can be a wonderful time filled with traditions, famous family recipes and catching up with each other’s lives. However, some view Thanksgiving with concern about how everyone will get along. Here are some do’s and don’ts to help your family have a better chance for a peaceful, enjoyable Thanksgiving this year. Don’t talk politics or bring up other “hot topics.” Often the urge is to help family members “really understand” your position or understand why their position is irrational and wrong. Too often, this ends with slamming doors and someone crying in another room or the car. Don’t be sarcastic, critical or give subtle jabs. These can cause emotions to escalate quickly, and feelings can get hurt. Don’t try to fix each other’s problems over one meal. Also, don’t discuss the problems of other family members who aren’t there. The Thanksgiving meal is not the time to suggest someone get out of a relationship, sell a house, be a better parent or start exercising. Don’t take things personally. Some family members are more “prickly” than others, but choose not to get defensive. If someone does start fishing for a reaction, don’t take the hook. Take charge of seating. Set the table for success by separating conflicting personalities. Set the conspirators near you so you can put out fires and guide the conversation. Remind yourself why you are doing it. You love your family (most of them? ), and ultimately, people are more important than problems. Ask others about their lives. Don’t talk about yourself the entire time. Give kids responsibilities, but then turn them loose. Kids simply aren’t going to enjoy being trapped at a table for long periods of time. They get restless and whiny. It’s okay if they run off after trying most of the foods. Don’t turn it into a battle. Have something for them to do after the meal. Are you a fan of slow cooking? Ensure that the food you slow cook isn’t just easy and delicious, but also safe to feed your family with these seven tips. Thaw meat or poultry thoroughly to ensure proper cooking time. When using a commercially frozen meal, follow the instructions from proper cooking. Fill slow cooker one-half to two-thirds full for best results. 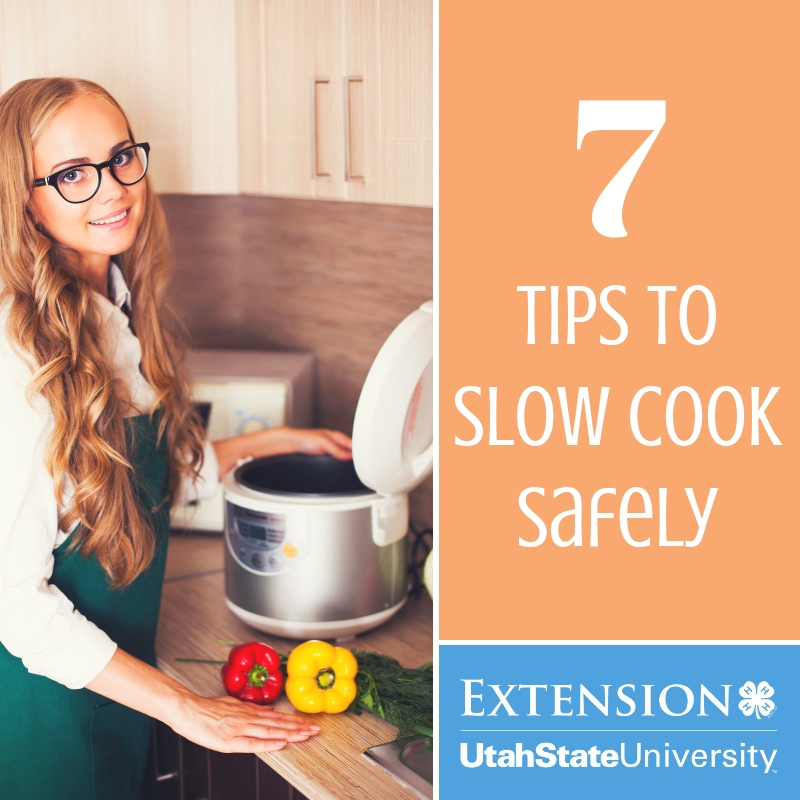 Preheat the slow cooker before adding food, or cook on high for the first hour to provide a rapid heat start, shortening food’s exposure to the temperature danger zone. Place vegetables on the bottom or around the side with the meat on top because vegetables take longer to cook. Use a calibrated thermometer to test for doneness. Place the thermometer in the thickest part of the meat, away from the bone. Safe internal temperatures include 165℉ for poultry, 160℉ for ground beef, pork, and lamb, and 145ºF for whole cuts of beef, pork, and lamb with a 3 minute resting time (USDA FSIS, 2011). Learn more about slow cooking here. Sometimes life is crazy. An excess of stress may create feelings of exhaustion and emotional burnout. These six helpful tips can help you balance your life and handle stress. Prioritize. Setting priorities will help in deciding how to best spend your time. Use a calendar and schedule the most important things that reflect your priorities first, such family activities or a date with a significant other. Discuss goals and schedules with family members and significant others often so everyone is invested. Remember, there is no “right way” to prioritize, but rather you have to decide a balance that is comfortable for you and your family. Be here now. In this age of technology it is easy to get distracted by things other than our priorities, especially when work or social media is just a click away. 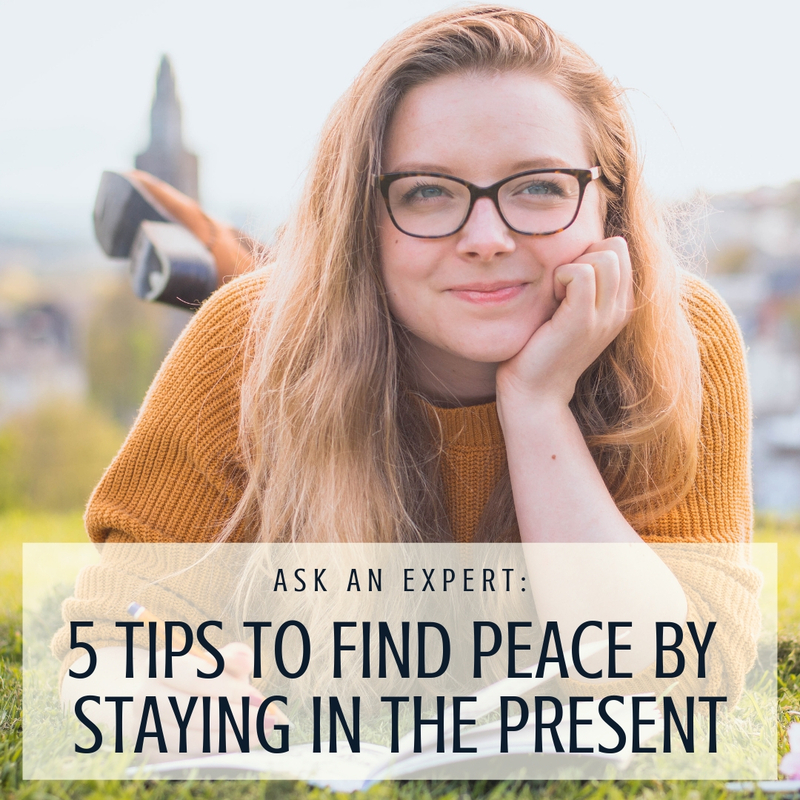 Taking a break from electronics and focusing on living fully in the moment, wherever you may be, will help to reduce stress. Set realistic goals and expectations. Let’s be honest, as much as many of us would like to give everything to everyone all the time, it’s unrealistic and thinking that way will cause conflict and stress. So, instead, examine your priorities and adapt your goals and expectations to fit your current situation. If married or in a relationship, be sure to include your partner in this process and discuss the roles that each of you will take. Revise plans and goals that don’t work—achieving balance is an ongoing process. Share the load. Some people try to reduce stress by taking control and doing everything themselves; but doing so can sometimes keep them from reaching their most important goals. Consider your support system and how others might be willing to help lighten the load. Remember, delegation is a sign of strength, not weakness. While there are many approaches to creating balance, what works for one individual may not work for another, and life challenges and possible solutions may change with time. Creating and maintaining a balance in life is an ongoing process; if the current approach isn’t working, try something else. 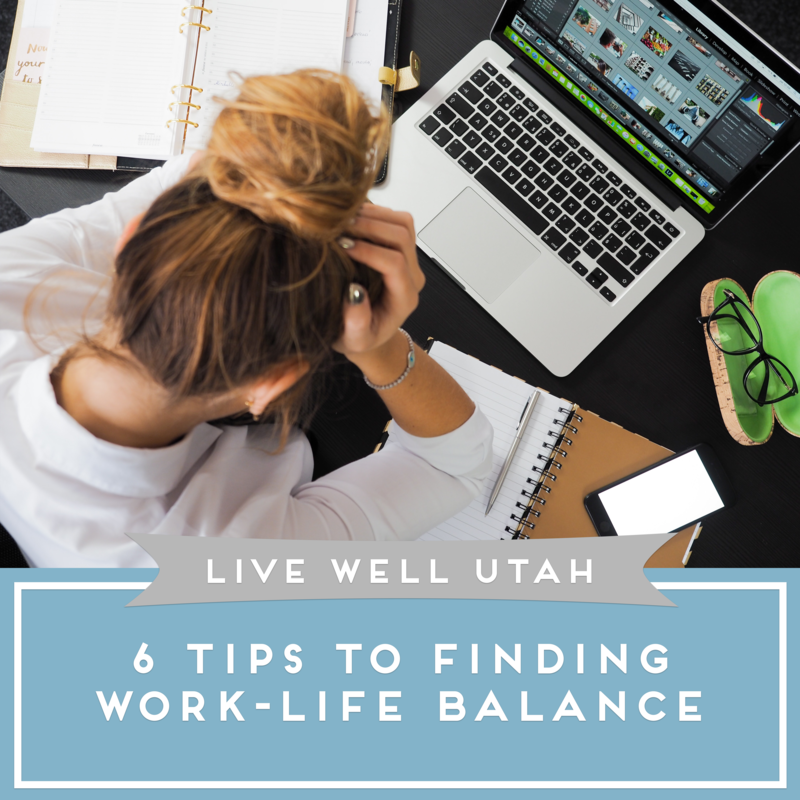 The balance may not always be perfect, but small efforts toward balance can still have a tremendous impact on life satisfaction. This article was contributed by Naomi Brower, an Extension Associate Professor in Weber County specializing in helping others improve the quality of their lives through creating and strengthening their relationships. Contact Naomi at naomi.brower@usu.edu or check out videos and other content at relationships.usu.edu.